If you’re a keen traveler on holiday in Mauritius, you’ll know that one of the best ways to get to know the culture of a new country is to sample the local cuisine. Especially if that country is Mauritius, where cuisine plays a huge part in both forming and reflecting the national identity. If you’re heading to this beautiful island nation any time soon, here are some ‘must eats’ for you to enjoy. Thanks to its position in the middle of the Indian Ocean, Mauritius has long been a stopping point for travelers, invaders and traders from all over the world. 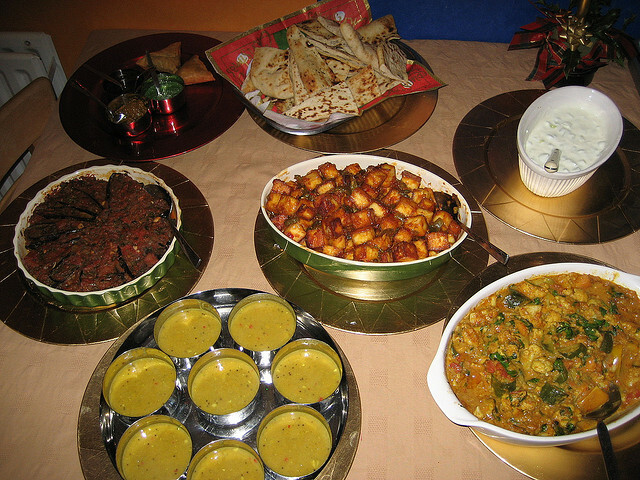 As a result, its cuisine is a unique blend of international flavors. Some of the most obvious influences come from India, Africa, China and Europe, with the French having left an especially large mark on Mauritian cooking. The most common curry in Mauritius is creole curry – a highly spiced dish normally made with chicken or beef and served with boiled rice or lentils. Both northern and southern Indian curry flavors can also be found in Mauritius, all with a unique local twist. Dholl puri are wheat pancakes that are typically stuffed with ground peas or another savoury filling. 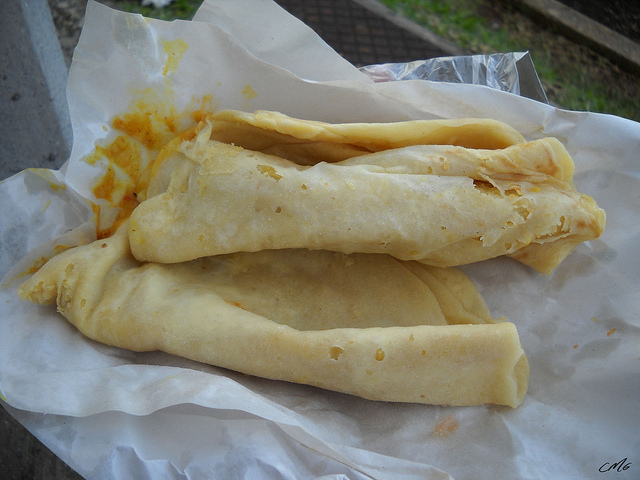 The pancakes are normally served with a hot curry sauce and make a delicious lunch or a light, spicy dinner. 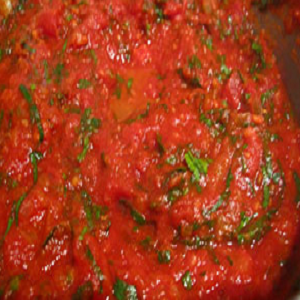 Rougaille, a spicy tomato sauce flavoured with chilli and ginger, can be found everywhere in Mauritius and is one of their favourite national dishes. It is normally served with fish or prawns, but you’ll find all sorts of varieties as you travel around the country. In the mid-nineteenth century, the sugar trade really took off on the island and as a result, rum became an increasingly popular part of local food and drink. Rum tours are available in distilleries across the island, but if you just want to lie back and relax during your Mauritius holiday, sampling a few rum cocktails by the hotel pool will still give you a good idea of the local produce! With so much delicious and exciting food options on offer while holiday in Mauritius. 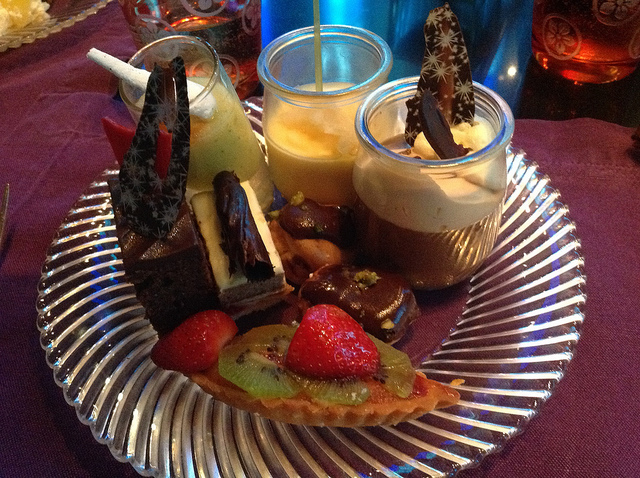 Mauritius truly is a foodie paradise. If you’re heading to holiday in Mauritius, make sure that you get out and about and sample some tasty local cuisine. Just over 800 km to the east of Madagascar lies Mauritius, a tiny island nation that is renowned for its natural beauty and hospitality. Though it may be small, there’s never a shortage of things to do here. From golf to snorkeling, on-the-go visitors will find no end of excitement. Of course, if you’d rather lie on the beach, you’ll find some ideal opportunities for doing so. For a country that boasts a size of fewer than 800 square miles, Mauritius packs in many enjoyable attractions and activities. Chief among these is Ile Aux Cerfs. This tiny island lies just off the coast of the larger island, and it can be reached by many different types of boats. By far the most popular way to get there is with Ile Aux Cerfs Island tours. You need a boat to get there, and once on the island, you need a way to get around. Organized tours easily provide this for you. This means that you are free to relax and enjoy your stay on the island without having to worry about a thing. That’s great news because Ile Aux Cerfs boasts a surprising number of things to do. Many people who visit here consider the beaches on the island to be the best in the country. You could easily spend the day soaking up the sun and enjoying a relaxing stroll. Of course, if you want to be more active, you’ll discover many ways to occupy your time. If you want to elevate your heart rate, head over to the Adventure Park where you can try all sorts of pastimes like zip lining and Accrobranch. Ile Aux Cerfs even has an 18-hole golf course designed by Bernhard Langer. Dedicated players won’t want to miss an opportunity to play a round. By far the most popular way to spend time on the island is to get out on or in the water. Some visitors prefer a slower pace, so they chose a glass-bottom boat tour or travel by banana boat. Others are looking for a bit more excitement. They may go for some water skiing or parasailing. Snorkeling is incredibly popular around the island as well. Coral reefs just off the beach are teeming with sea life, and there are all sorts of craggy black rocks to explore. The clear aquamarine waters have excellent visibility, so get ready to have the adventure of a lifetime. If you get hungry or want to extend your stay, you’ll discover numerous restaurants dotting the island representing the cuisines of the world. Moreover, gorgeous resorts provide guests with excellent accommodations and amenities. You will never want your time here to end. Arranging Ile Aux Cerfs Island tours is remarkably easy. You can get to the island via speedboat or catamaran. If you’re looking for another kind of transport, you’ll probably find it. Mauritius is one of those places where you can vacation however you like. Mauritius is a playground for the adventurous, thanks to its unspoiled beauty and opportunities for water based activities. Whether you’re hoping to relax in style or experience the region’s wildlife up close, Mauritius has a marine activity that’s perfect for you. 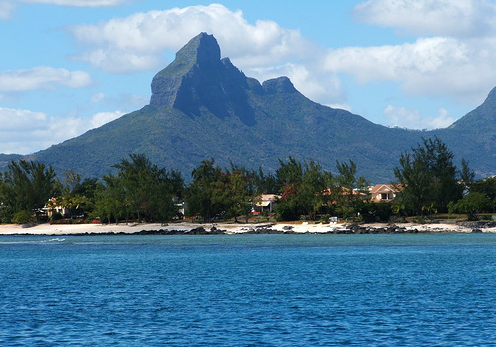 Found in the Indian Ocean, Mauritius is a former French colony that boasts a variety of desirable resorts. Many of these are located right on the beach, making it easy for you to enjoy some of the best activities the island has to offer. Thomson will be adding direct flights to Mauritius starting in 2014. Here is just a sampling of the marine activities you could indulge in during your time on Mauritius. If you’re traveling with children, you’ll appreciate the gentle waves at Trou aux Biches where kayaking and snorkeling are also popular. At Grand Baie, you’ll find a party atmosphere with lots of great bars and lounges from which to choose. 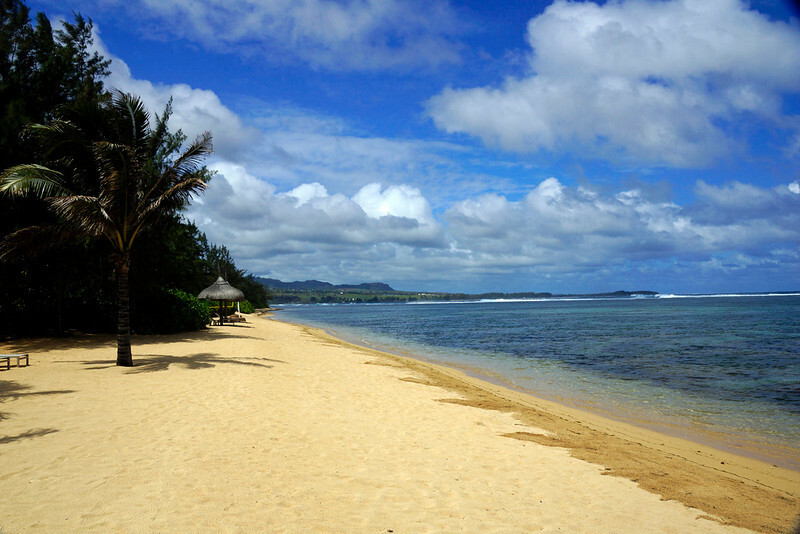 Perhaps the most relaxing beach is Belle Mare. It’s found on the east coast of the island and features a deep lagoon that’s ideal for snorkeling. Blue Bay is a popular stop for taking a dip in the ocean before lying on the sand. Mauritius offers spectacular scuba opportunities with its crystal clear waters and comfortable year round temperatures. 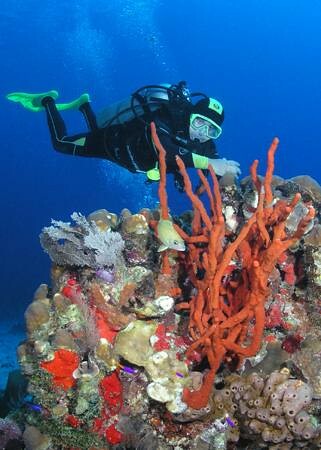 Divers will be able to observe countless colorful tropical fish and other marine life. One of the most popular places to dive is located on the island’s southern coast just off of Blue Bay. A handful of wrecks are also found in the area, making for even more adventurous diving expeditions. Mauritius is a wonderful place for interacting with and observing wildlife. Local services take guests to the open water via speed boat. Some choose to simply observe while others take the once-in-a-lifetime opportunity to swim with dolphins in their native habitat. Knowledgeable guides make this a safe and educational experience. 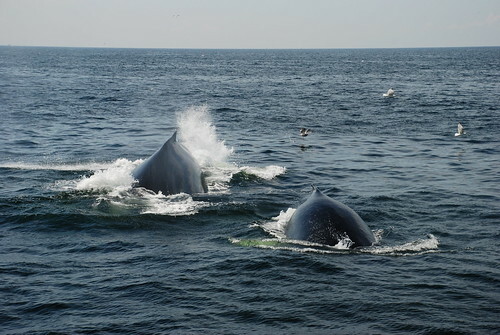 Later, the boats travel farther out to sea to indulge in some whale watching. Landing a blue marlin is a dream come true for many fishermen who visit Mauritius. Yellow tuna, various sharks and barracuda are also frequently caught. A local guide provides their expert knowledge along with a sea worthy vessel and state-of-the-art fishing equipment to guarantee you the fishing experience of a lifetime. Even if you don’t feel like fishing, a simple cruise on Mauritius beautiful water is singularly relaxing. Mauritius is world famous for its natural beauty, and during those rainy, chilly winter days the beautiful beaches and island you’ll be dreaming of is very likely to look exactly like Mauritius. So next time you’re dreaming of crystal clear waters and exotic nature – turn your dream into reality, book Mauritius holidays, and experience it for yourself. The main reason to visit Mauritius is to enjoy the beautiful beaches with crystal clear water. Some beaches are perfect for surfers, while others have calm water which is suitable for children. Other water activities include scuba diving and snorkeling, at Flic en Flac this is possible just minutes away from the shore. The beaches along the east coast are the most beautiful, but since coral surrounds almost the whole island it’s a good advice to bring some beach shoes. 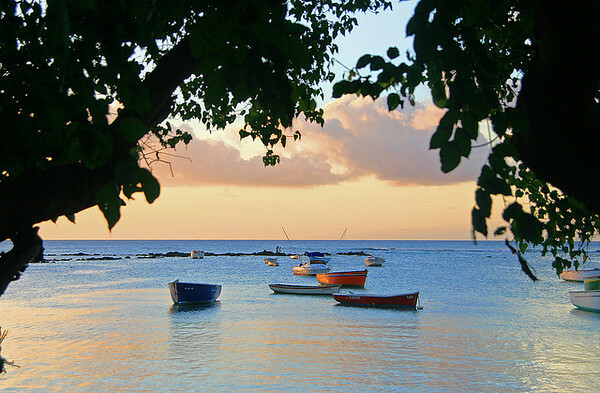 Mauritius is also famous for its deep sea fishing, something that attracts tourists from all over the world. It’s a perfect place for game fishing, and you can catch everything from giant trevally to black marlin and sharks. The big game fishing is some of the finest in the world, and you don’t even have to go far from shore, 15 minutes and you’ve got some great fishing opportunities already! The once uninhabited paradise island Mauritius has grown into one of the most popular holiday destinations of the century. Located in the Indian Ocean east of Madagascar, this multi cultured, tropical island has a lot to offer the visitor. The official language is actually English, but due to its French history the most commonly used language is French. So much so that the English tv shows are often dubbed over into French! Despite its small size and considerable history, the island nation of Mauritius Island has transformed itself into one of the world’s top luxury destinations. Originally discovered by Arab and then Portuguese sailors, the country was subsequently held by the Dutch, French, and British. The official language is English although French is most commonly spoken. Due to a huge influx of indentured Indian workers after the abolishment of slavery, Hinduism is the predominant religion. Provides great options on getting to Mauritius. Lounging under the shade of a casuarina tree next to a crystal-clear lagoon is a favorite pastime for visitors and locals alike. The north end of the island is known for its sailing, windsurfing, and deep-sea fishing opportunities, as well as the vibrant nightlife scene in Grand Bay. The east side offers an escape from the crowds, as does exploring the island’s forest interior. The southeast coast was once home to escaped slaves who hid among the cliffs, protected by the difficult terrain. These days, kids dive off stunning Rochester Falls and visitors tour aptly-named Blue Bay in glass-bottom boats. The west of the island has the best surf breaks, and the town of Flic Flac is popular among scuba divers. Black River Gorges National Park is home to several highly-endangered species, and a guided trek up to the Tamarind Waterfalls is well worth the effort. Rock climbing, kayaking, and even skydiving are other ways to experience the natural beauty of Mauritius. In town, visitors can stop at the National History Museums in Port Louis or Mahébourg to learn about the island’s storied past and to see one of its original inhabitants – the now-extinct Dodo. The island still produces sugar, tea, rum, and vanilla, and shoppers at the Bazaar of Port Louis or the Flacq Market can enjoy cheap food, fresh tropical fruits, and delicious local snacks. The tourist village in Mahébourg is a great place to pick up artisan-made souvenirs such as pashmina scarfs and traditional goni baskets. 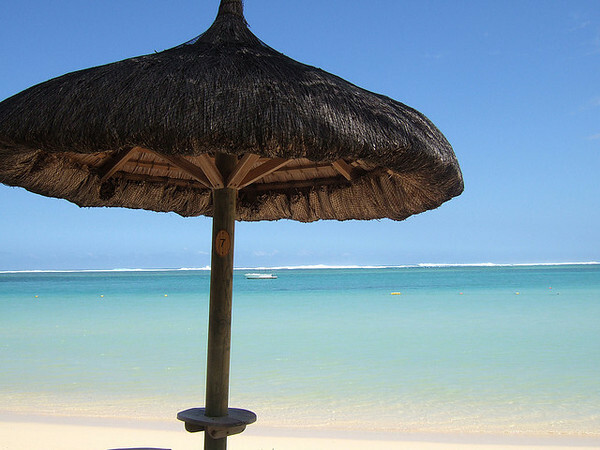 Sega dance music blaring everywhere, from shopping malls to beach bonfires, provides the ultimate soundtrack to an unforgettable trip to Mauritius. 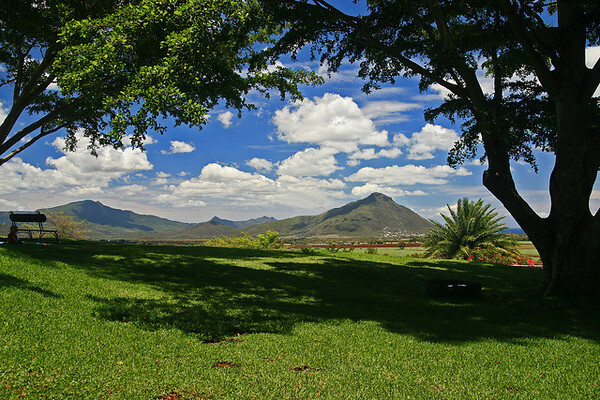 For more action filled activities you can always head to Casela, an Leisure and Nature park covering over 25 hectares. In the park you can find over 140 bird species, giant tortoises, zebras, a tiger and ostriches. You can also walk with lions, try ziplining or the buggy. But it’s not just the water that makes Mauritius popular. Being a volcanic island, the nature is very unique, and many people go trekking in the native forests and the breathtaking summits of the mountains. The island is full of indigenous flora and fauna, and there are many ways to explore its treasures, whether you go canyoning, rock climbing or take a quad bike tour. Foods will always be the most exciting for me when traveling. Love the dishes you showed here.